Any awards show is bound to be chock full of fashion and beauty faux pas, resulting in tons of potentially humiliating photos cropping up in Star and Ok! magazine the next day. But Gina Rodriguez’s makeup mishap at the Golden Globes last night was nothing short of adorable. During her Best Actress acceptance speech, the star of the new CW comedy Jane the Virgin, Gina Rodriguez cried off her fake eyelash — which makes sense, since that speech was a real heartwrencher. Trust me, if I had been wearing falsies while sitting on my couch and watching the Globes with my dog, they would’ve been coming unglued, too. It was a surprise victory for Rodriguez, who managed to beat out award regulars like Lena Dunham, Edie Falco, and Julia Louis-Dreyfus for the Golden Globe for Best Actress in a TV Comedy or Musical, and her acceptance speech was just was beautiful as her. “Thank you, God, for making me an artist,” Gina shakily began, before humbly acknowledging her Latin culture. “This award is so much more than myself, it represents a culture that wants to see themselves as heroes.” Help, I’m tearing up again. Rodriguez ended her speech (and forced me to use up the rest of the tissues in my house) by emotionally thanking her family. “My father used to tell me to say every morning to myself it’s a great day. I can and I will. Well Dad, today’s a great day. I can and I did.” Ugh, I’m done. And so were Gina’s fake eyelashes apparently. By the end of her speech Gina had teared up so much that one of her false eyelashes had dislodged itself and migrated down to her cheek. Oops. But considering that the circumstance was what will probably be the most endearing acceptance speech of the award season, what normally would be a beauty faux pas just made Rodriguez all that more adorable. Unfortunately, the same doesn’t exactly go for me and you. Having a falsie unglue itself during a board meeting or on a first date won’t really be conceived as sweet or adorable, so here’s a few tips to keep your fake eyelashes in place during an emotional awards speech — or, you know, whatever you have going on. If you’re using a full eyelash strip, be sure to cut it to fit your own eye. If you don’t, the corners will be annoyingly popping up all night. You can simply trim the excess hairs from the corners or even cut the whole lash into a few pieces to position each one just right — an easy hack to fake those individual false eyelashes that are often more difficult to apply. 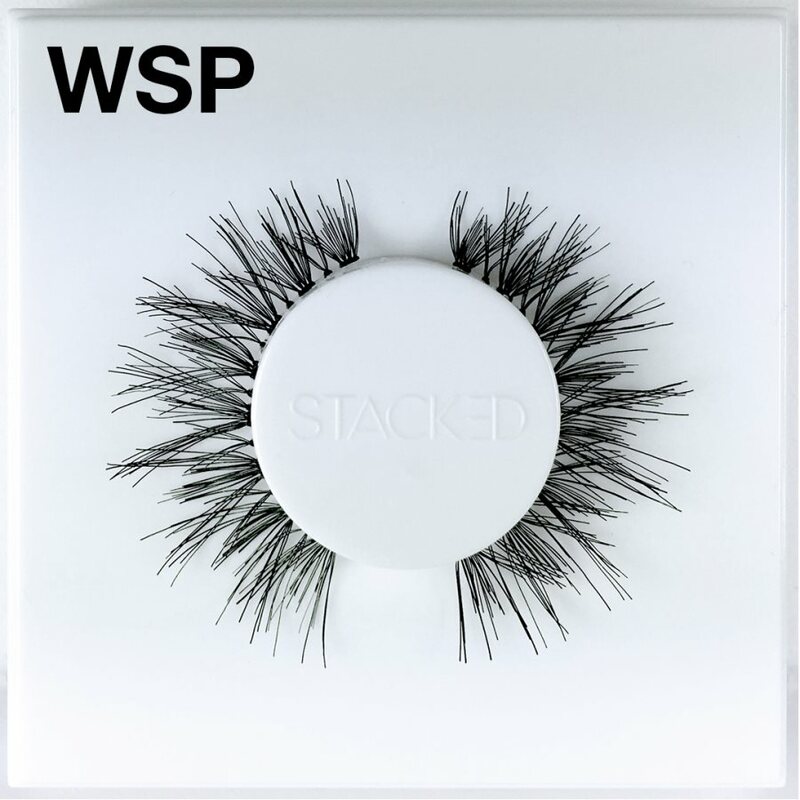 No need to be stingy with the eyelash glue, but a thin strip along the entire fake lash is really all you need. Always wait a few seconds before slapping that little guy on your eye. If the glue is still dripping wet, all the lash will do is slide around your lid. No bueno. Whatever you do, don’t press them down with your fingertips! The grease from your hands can transfer to your lashes, which will compromise the strength of the glue. Instead, use a clean and dry pair of slanted tweezers and gently press down to secure. A-List Carpet Ready False Eyelashes! How to apply and Remove the Andrea Strip Lashes (#53)? 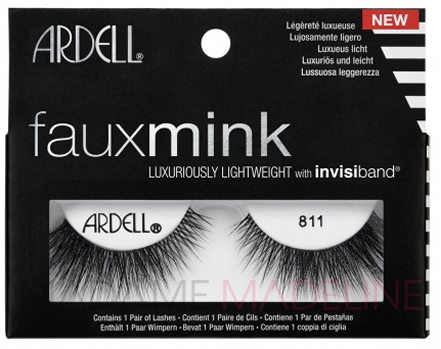 Ardell Natural Eye Lashes #101- Best choice for the Beginners! Revlon Lashes or Kiss Lashes: Which One You Should Choose? 4 tips to LONGER eyelashes!